Carter Burwell, Hollywood film composer, universally acknowledged for creating some of the most organic and original scores in the film industry, including music for Joel and Ethan Coen’s Blood Simple, Raising Arizona, Barton Fink, Fargo, The Big Lebowski; David Mamet’s The Spanish Prisoner; and Spike Jonze‘s Being John Malkovich, required a new home and composing studio in New York City’s Tribeca section of Lower Manhattan. A 3000 sq. ft. loft space is the site for this facility. 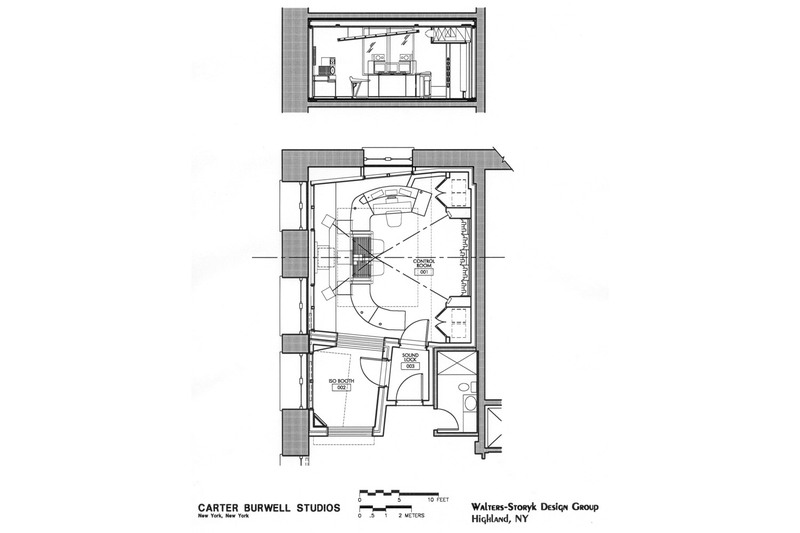 The Studio is oriented towards the East, enabling the room to maintain near perfect symmetry while utilizing all of the windows. A small three to five person vocal and instrument isolation booth was installed. Entrance sound lock and rear room machine closets complete the studio design. The aesthetics of the room are minimum and are consistent with the rest of the loft. Nearly all of the acoustic treatments are concealed behind neutral colored fabric. 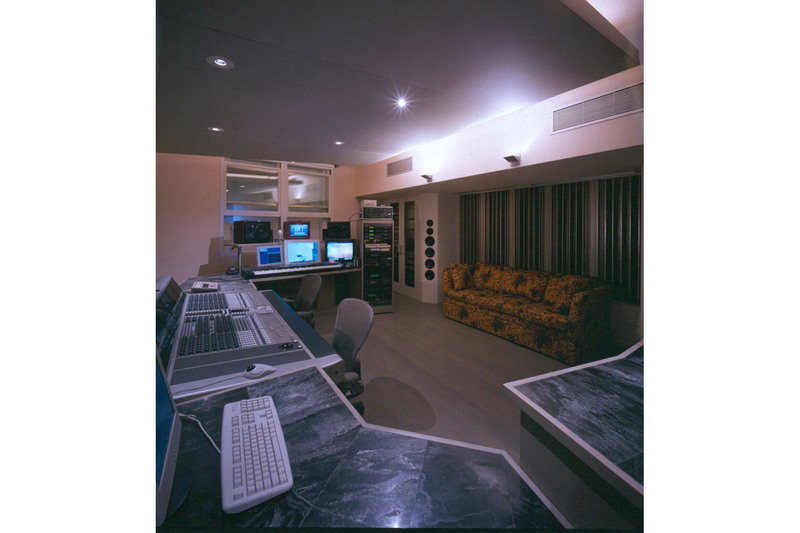 Low frequency control of the control room, which is required to maintain critical film mixing frequency and time domain response standards (x curve, etc. ), is accomplished with membrane absorbers above the transparent ceiling cloud, and in the rear room fascia / soffit. Recording flexibility is accomplished by having virtually every room in the loft wired to the studio. 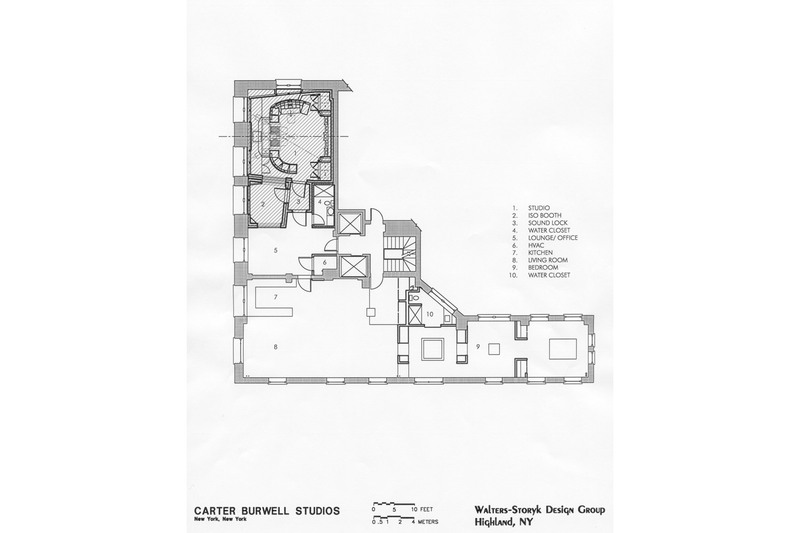 Carter had indicated that he wanted “…the studio to be an ecology of technology…” WSDG worked in tandem with architect Kathy Chia, who designed the residential space and consulted on the studio, and Burwell’s wife, lighting designer Christine Sciulli. 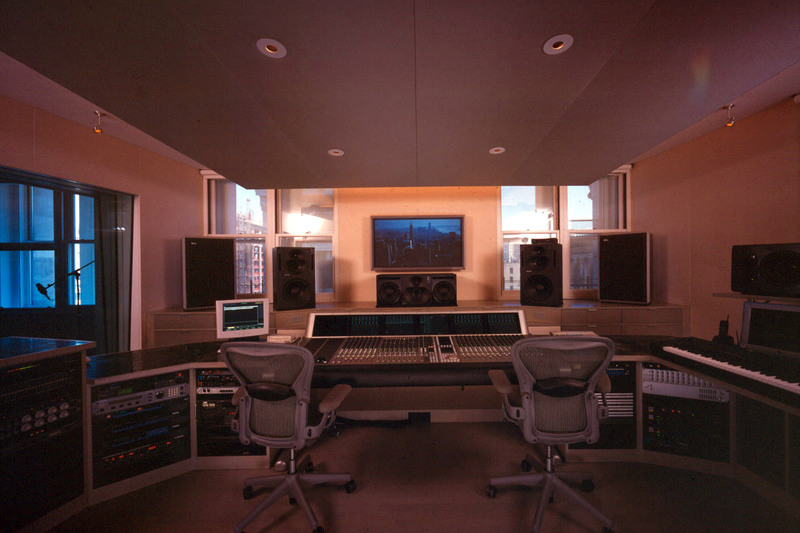 Maintaining large amounts of glass and great views, and still satisfying very strict film industry acoustic requirements for mixing. Isolation from rest of building – ceilings are quite low. Full room-within- room construction was installed. 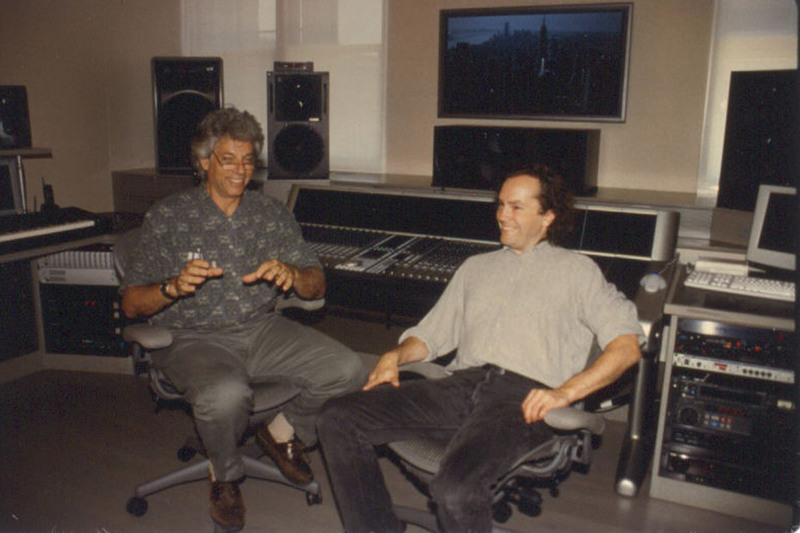 5.1 configuration as well as a separate composing position. Orientation towards the primary window direction is important. Use of low profile Genelec 1038AC center monitor allows the video plasma display to be accommodated. Low frequency control in room accomplished with membrane absorbers above fabric ceiling treatment. Read the article in EQ Magazine.